A breathtakingly original, darkly comic, surprisingly contemporary and deeply surreal tale from the author of THIS IS THE WAY, Kerry Group Irish Novel of the Year. After fleeing his dying parents and the drudgery of work in Dublin for the Manhattan of his imagination - a place of romance and opulence, dark old concert halls and mellow front parlours quieted by the hiss of the phonograph cylinder - Rickard Velily hopes to be reborn as an Irish tenor, and to one day be reunited with the love of his life. At the very peculiar Cha Bum Kun Club, a masonic-style refuge for immigrants who can't quite cut it in New York City, he meets Denny Kennedy-Logan and Clive Sullis, and a plan is enacted: to revive the art songs and ballads of another time for a hip young city in thrall to technology and money. But that is without reckoning on meddlesome sprites, the phantoms of the past - and more malign forces who plot to subjugate the human race. 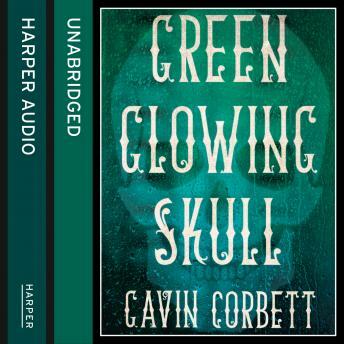 Green Glowing Skull is a half-crazed brain-shunt of a trip around the spirit world, the cyber world and a woozily recognisable real world - a darkly comic tale of mythologies, machines and the metaphysical swirl.